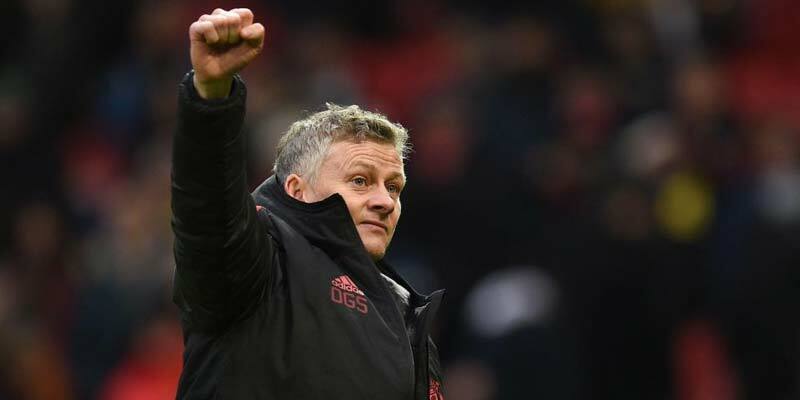 MAN UNITED confirmed the world's worst secret when they handed Ole Gunnar Solskjaer a long-term deal – and fans can celebrate with three points today. The Norwegian faces a tough task restoring the Red Devils to their former glory days but he's earned a shot at it after one defeat in 13 since being handed the caretaker role. He's led a remarkable transformation since the dark days of Jose Mourinho with the club also reaching the Champions League. There have been some negatives with an FA Cup exit at Wolves and league defeat to Arsenal who are their nearest challengers in the top-four race. But overall Solskjaer's win rate is an impressive 73 per cent and he should improve it further when Watford visit. United won at Vicarage Road earlier in the season and have beaten them to nil three out of three since the Hornets returned to the Premier League. To win United are 9-20 at Marathonbet and 31-20 at Ladbrokes to win to nil but I wouldn't totally rule out an away strike. The early game is a mismatch as Fulham welcome Man City. I'd be backing the champions to win by three or four if it wasn't for the fact some players may return a bit leggy from international duty. City are no bigger than 1-7 so little value out there. The past two season it's resulted in City and over 2.5 match goals and a third pays 2-5 at Ladbrokes. Raheem Sterling will come back on a high after netting four of England's 10 goals against Czech Republic and Montenegro. Risk him at 4-1 with bet365 to score first – and it's always a risk with Sergio Aguero on the park – or go safer with Sterling to net at anytime at 4-5 with bet365. Some tight games elsewhere but I fancy Leicester at 17-20 at home to a Bournemouth side whose only away points in eight were at Huddersfield. The Foxes have won three out of four since Brendan Rodgers arrived but not kept a clean sheet so consider Leicester and both to score at 21-10 with McBookie. In the Championship I like Leeds at home to Millwall and Aston Villa against Blackburn. Leeds fell to third after losing at home to Sheffield United but should return to winning ways against a Lions side with one win in six. The Elland Road men are 1-2 at McBookie. Villa are flying under Dean Smith after a slow start and a run of four wins and 11 goals has lifted them into the top six. They are 8-13 with BetVictor against a Rovers side in freefall and down to 16th after one win in six. Leaders Norwich face a difficult one at Middlesbrough but I'm backing them at 8-5 with BetVictor to make it seven wins in a row against the home who are on a run of three defeats. Sheffield Utd will be buzzing after their win at Elland Road made it six clean sheets in a row and they look ready to beat Bristol City at 7-10 with William Hill for a ninth home win running. In League One leaders Luton look good value at 10-11 with boylesports at a Bristol Rovers side hammered 4-1 by Doncaster in midweek. The top two in League Two look the best bets today. Lincoln, eight points clear of Bury, have lost just once at home and should see off second-bottom Macclesfield at 4-7 with Betway. Bury have also been a powerhouse at home with one defeat and will be relieved to be back at Gigg Lane after three successive road trips. They welcome Swindon and are 7-10 at boylesports.